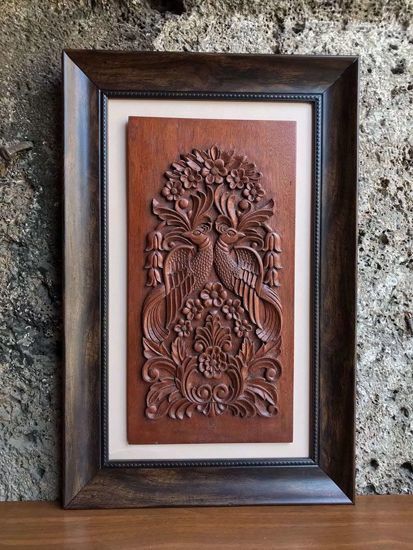 Wood Carving Art - "Simurgh". 3D Wall Art for your Living Room as a Rustic Home Decor. An Original Artwork for You. The Simurgh is a mythological healing bird which is a symbol of miraculous life and treatment in the Middle Eastern Culture. Although the Simurg varies in different cultures in the Middle East and also seen in the ancient Chinese, Indian and Greek mythologies, the Simurgh features strongly in Persian mythology and a number of the great epic poems of Persian literature. The Simurgh is carved from Sipo. There is no dye and stain involved.